Have you ever noticed that a visit to almost any other developed country immediately provides some perspective to compare and contrast how differently we experience our food? From a gelato to an omelette, from a paella to a souvlaki, and from a schnitzel to a gyro, every meal is prepared, presented, and served with a real sense of pride, joy, and love. You can see, taste, feel, and smell the difference in quality. Wouldn’t it be wonderful if we could import that incredible wow factor here? Wouldn’t it be amazing if our kids would effortlessly eat and want only the best? 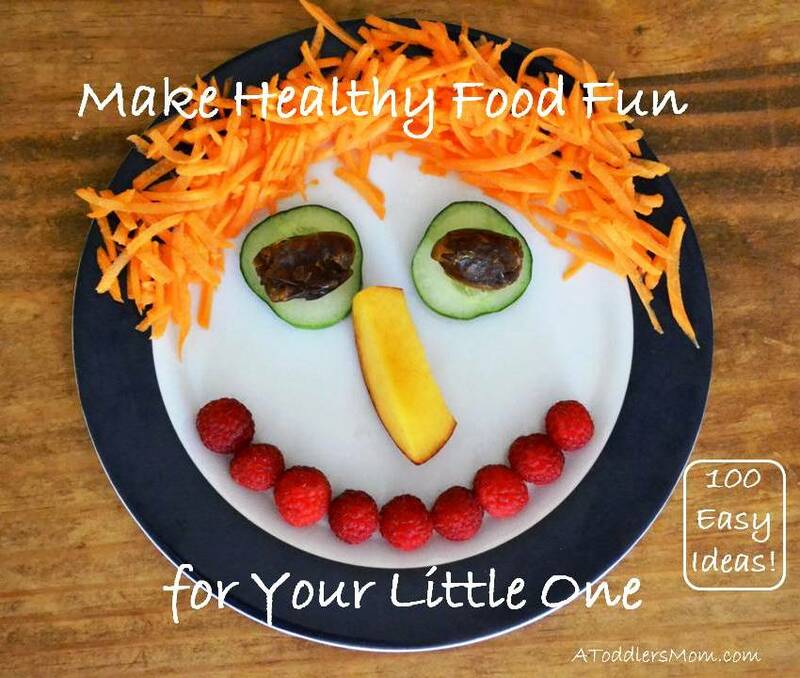 I have noticed that making healthy food fun for kids starts long before we sit down for dinner. Making food enjoyable means involving kids in every aspect of the meal from shopping to clean-up. It also includes setting high expectations for them, giving them lots of choices, and explaining to them how privileged we are to be able to eat the way that we do. Let them help set the table. Light a candle for dinner. Grow your own food – even a few herbs in pots. Ask them to help make a salad. Let them carry the bags of produce home. Ask them to help put the groceries away. Use a brightly coloured table cloth. Let them help with food preparation, such as mixing pancake batter. Get dressed up in fun clothes for dinner. Plan a picnic in your backyard. Talk about where your food came from. Give your entrees a fun name. Don’t use food as a pacifier or a punishment. Use dips for fruit and veggies. Provide small portions of food. Serve different textures of food from pepperettes to purees. Cut fruits and vegetables into different shapes and sizes. Cut a wedge of fresh fruit to top water glasses. Make different shaped ice cubes. Let them wipe the table after a meal. Get them to help water your garden. Let them pick the menu. Have another family over for dinner. Give them their own mini kitchen and dishes to play with. Give them healthy toy food to play with. Let them to help wash the dishes. Keep a routine for meals and snacks. Make simple menus and meal plans. Let them wash the freshly picked produce. Take time to smell the food. Have a race with the shopping cart in the parking lot after unloading the groceries. Serve drinks in (plastic) wine glasses. Let them measure ingredients when cooking or baking. Cook locally grown foods in season. Invent new recipes and meal ideas. Shop at a roadside vegetable stand. Let them help unload the dishwasher. Limit mealtime to 20-30 minutes. Celebrate holidays with special meals. Let them taste the food as you prepare it. Play classical music during dinner. Add a sauce to your meal. Have them wipe off the kitchen counters. Allow them to feel hungry before meals. Have them help to clear the table after meals. Let them have their own section of the garden to grow whatever they want. Go on a scavenger hunt in the garden: dig up a carrot, open a pea pod, pick a cucumber. Take time to really taste the food. Let them pick out their favourite fruits and veggies at the farmers market or grocery store. Make flowers and faces out of the food on their plate. Celebrate big occasions (birthdays, anniversaries, milestones) with a special dinner. Let them sort clean utensils in the drawer. Remember that food is a celebration. Start with vegetables as an appetizer. Fold paper napkins into fun shapes. Have olive oil on the table to add to everything. Give them small, age-appropriate utensils. Vary the flavours of familiar dishes with different seasonings. Read books together about healthy foods. Garnish the meal with parsley or other fresh herbs. Say a prayer before eating. Set a good example for your kids: try new foods and eat a healthy diet. Offer a variety of colours on the plate. Serve mini-food: chicken nuggets, salmon sliders, mini quiche, mini muffins, chicken drumsticks. Remember the good times and tell stories at mealtime. Share a meal with multiple generations of family. Make your dining room table the happiest place in your home. These ideas are only the beginning. What do you do to make healthy foods fun? I’d love to hear about your ideas in the comments below! Thank you! I’m glad that you like them! Awesome ideas! Pinning this for sure! Haha! I know the feeling! I use this list to remind myself of how I want our dining area to look and feel. It is the little things that make everything 🙂 Will be using some of these ideas for sure! I know! Paying attention to details really makes a difference!